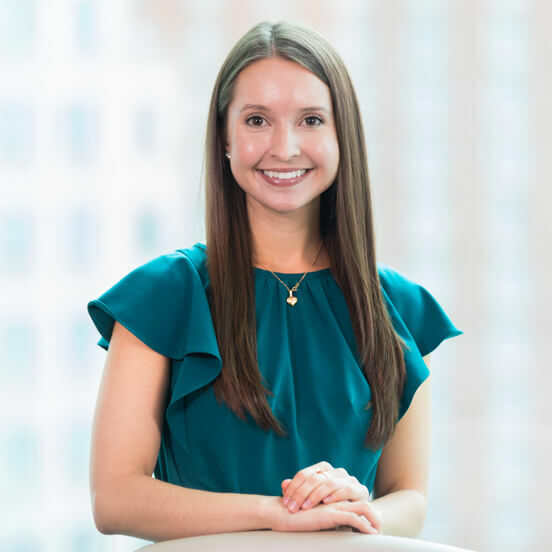 Sarah Stark is an Administrative Associate in Balentine’s Raleigh office, where she supports the Relationship Management and Client Service teams. She also serves as the office’s Volunteer Coordinator, facilitating opportunities for Balentine employees to give back to the local Raleigh community. Prior to joining Balentine, Sarah worked as an executive administrative assistant at Access Insurance in Atlanta. Sarah is a graduate of the University of Georgia, where she majored in linguistics. I admire how Balentine’s culture is built on a foundation of mutual respect and is held together by the mindset of always doing the right thing. What was your biggest missed opportunity? Not taking time off to live in Finland. Having most of my family there, along with dual citizenship, I’ve always wanted to live there. I love riding my family’s horses! I try to get out there as much as possible. I lived in Cadiz, Spain for two months while enrolled in UGA’s study abroad program. I took weekend trips to various cities in Spain and visited both Portugal and Morocco.